As the events of the Queen’s Diamond Jubilee have begun to take place, it has occurred to me that so many people out there won’t even be aware that the Jubilee is going on! Well, it’s the 60th anniversary of The Queen’s reign in Britain from 2nd to 5th June and many people across the UK are already beginning to go Jubilee crazy! If you live anywhere other than the UK, you may not understand or appreciate the buzz that surrounds a royal occasion such as this, and admittedly not the whole of the UK embrace the celebrations. For those that do make the most of Royal events however, a treat is always undoubtedly in store. Fourerr is a great place to celebrate special occasions, so if you want to get some great ideas for what to do this Diamond Jubilee weekend, Fourerr is a great place to go, no matter where you are in the world. 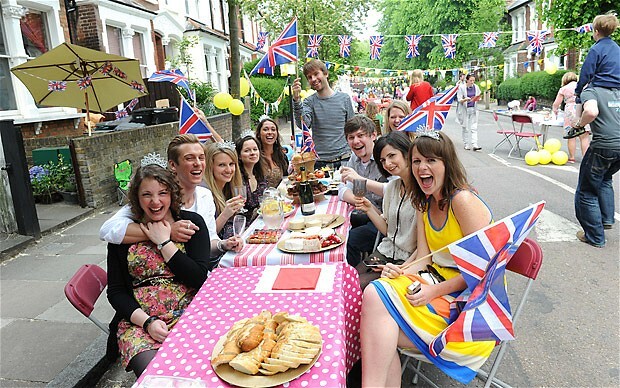 If you are a seller and fancy doing some Jubilee-themed gigs, then get thinking about what you can offer and spread the joy! Music – People organise street and house parties on special occasions – just look at the recent Royal Wedding as a great example! In order to create the perfect party atmosphere, start to post gigs with celebratory music, offer party themed playlists or even compose tunes especially for the occasion – anyone hosting a party will love it. Videos – Whether you do a great impersonation of the Queen or you want to create a comedy sketch around the Jubilee itself, be creative with your videos. Maybe even a montage of royal images to have on loop throughout the day can help create a real party atmosphere. Fancy Dress – British celebrations wouldn’t be British without ridiculous fancy dress and face paint. Sellers can offer up their creative fancy dress ideas and how to put together the ultimate jubilee costume for the day. Buyers can gather creative fancy dress and face paint ideas for the occasion in order to enhance the celebrations even further. Decoration – Think bold red, white and blue and plenty of Union flags! Lots of bunting, and anything quintessentially British are great ways to decorate streets and homes ready for the big day. Sellers can offer gigs full of ways to hand make decorations and give ideas to anyone hosting a Jubilee party. Food and Drinks – Think classic British refreshments and you will think of tea and cakes. Fourerr sellers can make the most of the occasion by helping buyers think of great cake recipes and British themed dishes to serve on the day. Tattoos – Tattoo designs around special occasions are a hit, and although very few people will want a massive tattoo of the Queen’s face across their back, they might like a date and crown design or something else meaningful. Having said this, silly tattoos for the occasion can be just as popular – someone in Lancashire, England has recently just got a huge tattoo of the London Mayor Boris Johnson on his leg! So browse through Fourerr, start posting or buying Jubilee themed gigs and make sure you have a right “royal” knees-up! Let us know what you are doing in two weeks time … Just leave a comment below.